The average price gap faced by 'second-steppers' across the Midlands between their first and second home is now over £100,000. Josh Thacker caused around £3,500 worth of damage to the ambulance - but was ordered to pay just £50 in compensation. The contrite child listed three very good reasons why it's not a good idea to prank the ambulance service, adding: I'm very, very sorry. Jessica Greaney's eyeball was being "eaten away from the inside" by a rare parasite. Cottesmore in Rutland has been confirmed as the epicentre of an earthquake measuring 3.8 in magnitude which was felt across the East Midlands this evening. It struck at 10:25pm and was felt in homes across Leicestershire, Rutland and Lincolnshire. There are no reports of any damage to property so far. 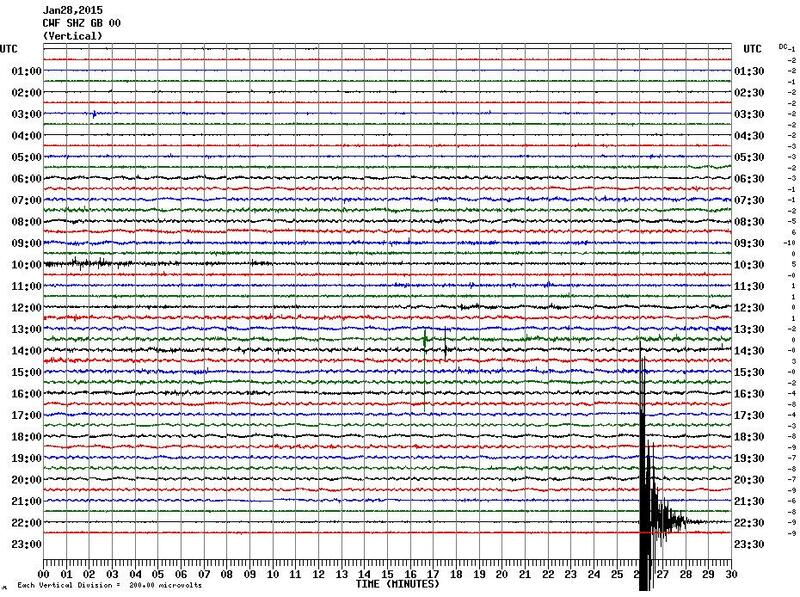 ITV News reporter James Webster has tweeted an image from the British Geological Survey showing the data of tonight's earthquake felt across the East Midlands. The image above is taken from the monitoring station based at Charnwood Forest in Leicestershire. The US Geological survey says the epicentre was in Cottesmore in Rutland and happened at 22:25 GMT.